CALIFORNIA – California’s Air Resources Board is finally putting out more easily-digestible information for truckers. With the complicated and at times confusing air pollution or emissions laws and requirements in the state, it can be difficult for the trucking industry to navigate. Now, they are using webinars, mailers, billboards and more to relay the information. While the industry has gotten slack up until now about meeting the requirements, they won’t for long. 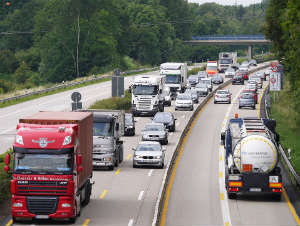 As of the beginning of 2020, the DMV will automatically reject the registrations of trucks that are noncompliant. As the manager of the Compliance Assistance and Outreach Section for the ARB, Bruce Tuter, said: “One thing about our regulations is, they’re quite complicated.” So far this month, the group already ran webinars for both truck and bus operators. In addition, they had an in-person event, as well as sent out mailers to fleet operators. This is all to help the industry understand how to comply with the air pollution regulations. In fact, according to the ARB, about 80,000 of the 400,000 heavy-duty diesel trucks registered in the state are out of compliance. So, how to fix this? Better explanations of the rules. They implemented a hotline to do this. Tuter said that the ARB receives about 130,000 calls each year to the compliance hotline, which provides one-on-one help and instruction. Truckers can also visit their website, Truckstop, which receives about 100,000 hits annually. On Monday, they conducted a three-hour long webinar. This covered compliance options, reporting requirements, and more for 2019 and the years to come. A moderator answered several questions from operators during that time. Interestingly, the requirements got more complicated last year, after the ARB lost a lawsuit with a Fresno company. The Judge, Mark Snauffer, ruled that the California Air Resources Board exceeded its authority. How? By allowing small trucking companies to delay compliance with some of the emissions regulations. As a result, all trucking companies have to face the rules and start complying. Luckily, the outreach to educate the industry has proved mostly successful thus far. The director of governmental affairs for the Western States Trucking Association, Joe Rajkovacz, said: “CARB is right to be reminding people right now. The reality is that you’ve got to get into compliance. It doesn’t necessarily mean that many truck owners are happy about the rules.” There are many owners who are unhappy about companies who haven’t complied. Money goes into the process to comply with the emissions rules. Finally, there are no exceptions. So, truck owners and operators should take advantage of the latest resources to get up to speed on California truck emissions laws! Changes need to be made accordingly in order to stay on the road and in business.